Billy Collins is an American phenomenon. No poet since Robert Frost has managed to combine high critical acclaim with such broad popular appeal. His work has appeared in The New Yorker, The Paris Review, and The American Scholar, he is a Guggenheim fellow and a New York Public Library “Literary Lion.” His last three collections of poems have broken sales records for poetry. His readings are usually SRO, and his audience – enlarged tremendously by his appearances on National Public Radio – includes people of all backgrounds and age groups. The poems themselves best explain this phenomenon. The typical Collins poem opens on a clear and hospitable note but soon takes an unexpected turn; poems that begin in irony may end in a moment of lyric surprise. No wonder Collins sees his poetry as “a form of travel writing” and considers humor “a door into the serious.” It is a door that many thousands of readers have opened with amazement and delight. Billy Collins has published several collections of poetry, including Questions About Angels, The Art of Drowning, The Apple That Astonished Paris, and Picnic, Lightning. In May 2000, Picador in the UK published his collection of poems, Taking Off Emily Dickinson’s Clothes. He also has recorded a spoken word CD, The Best Cigarette (1997). In September 2001, Random House published his collection of poems, Sailing Alone Around the Room: New & Selected Poems. In the fall of 2002, Random House will publish his new collection of poems, Nine Horses . He is a professor of English at Lehman College of the City University of New York. He lives in Somers, New York. 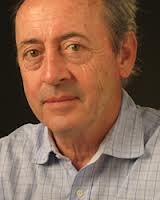 In June 2001, Billy Collins was appointed United States Poet Laureate 2001-2003.